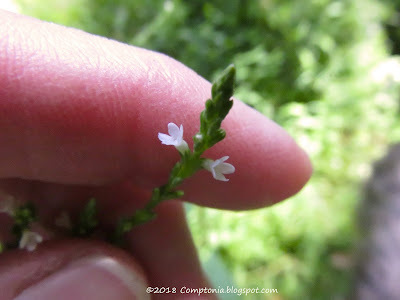 It hasn't rained yet today, so after chores Piper and I ambled around taking photographs and rolling in enchanter's nightshade and getting covered in tiny sticky seeds. I'll let you guess which of us did which. Tall plants have been having a difficult summer. 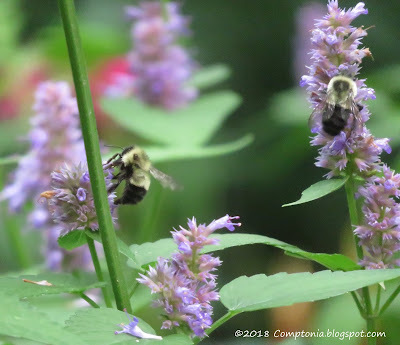 The amsonia, bellflower, anise hyssop, bee balm - even the generally unstoppable comfrey - have been taking a terrible beating from almost daily downpours and thunderstorms. The moment the amsonia was finished blooming a few weeks ago I cut it way back, but I try to retain the pollinators' favorites even when the stems are horizontal. 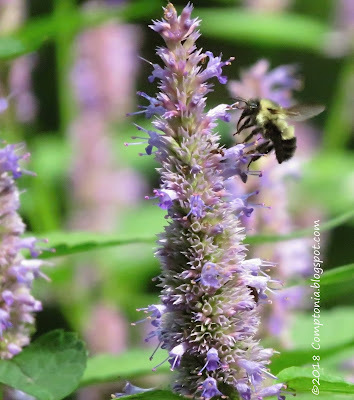 Unfortunately, a lot of anise hyssop has been knocked down across my working paths, so it must either be cut, stepped over several times each day, or trodden into the ground. So far I'm doing a little of each. When the rain stops however briefly, the bees are out in full force. They must be having a challenging time. 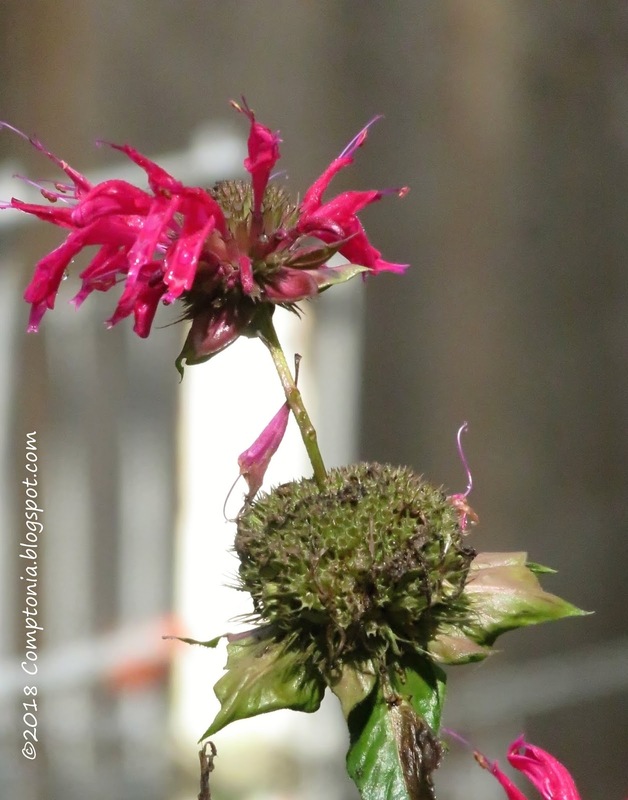 Even the flowers that managed to bloom despite a lack of sunshine have often been shredded by the rains. I'm making sure the hummingbird feeder is always freshly filled, to help take up some of the slack. And here is a question for you. Have you ever seen bee balm do this? I am very curious to know if this is unusual or if I just haven't been paying attention! That anise hyssop is certainly popular! 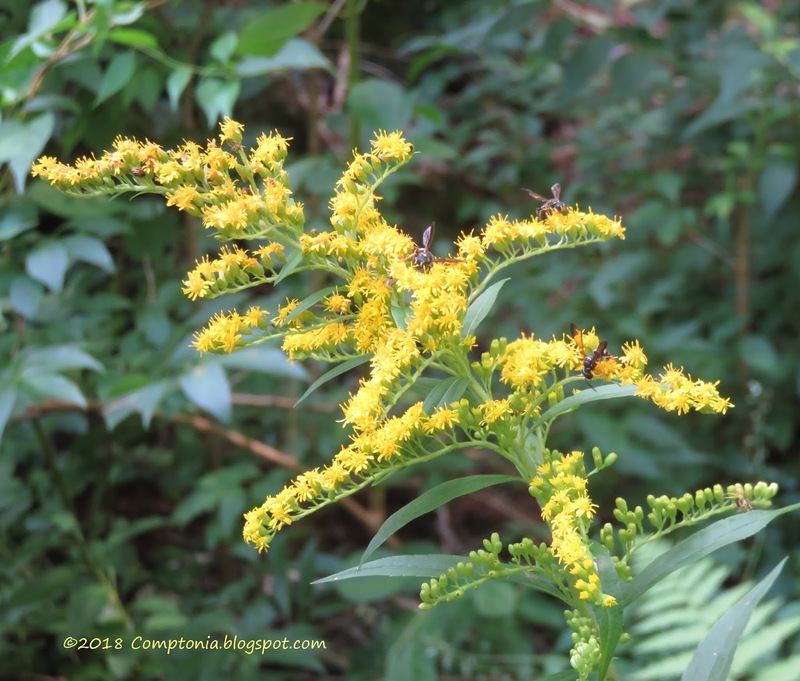 The first goldenrod has just begun to bloom and is covered with insects. Does anyone know for sure what these are? carries quite a collection of long common names. Three are: nettle-leaf verbena, nettle-leaf vervain, and white vervain. 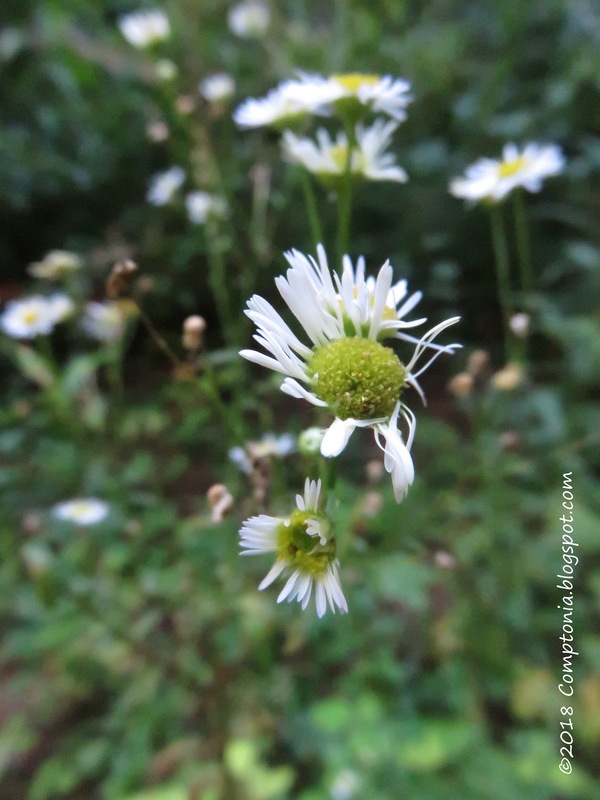 I just love finding these flowers. Such a miniature treat.